Putting importance on the natural taste of salmon in good balance of strongly roasted sesame. 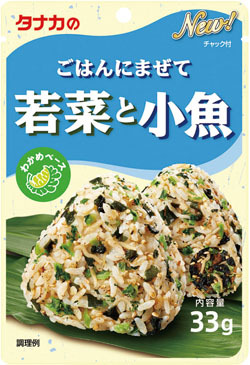 Mix with hot cocked rice before you eat.For rice balls and bento boxed meal. Zip up a bag to store after opening and consume it as early as possible. Refreshing taste with bigger pieces of Ume plum pulp and perilla. 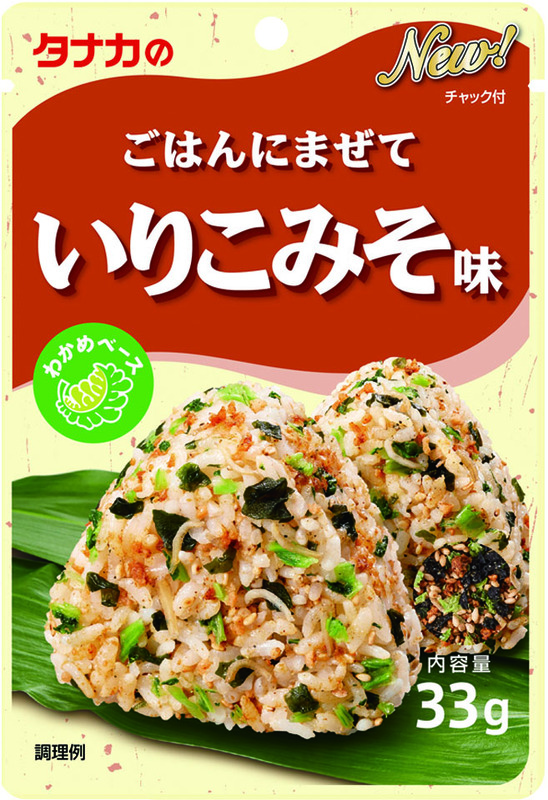 Good balance of nice colored crisp young greens and savory strongly roasted sesame increases your appetite. Superb taste of hot salted cod roe with Umami. Mixed with seasoned dried young sardines. Gentle tasteof flagrant small fish and plain svory Soy sauce taste. 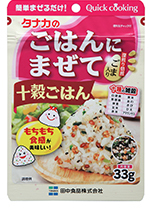 A coloful mix for rice with 6 different kinds of vegetables and Wakame seaweed and strongly roasted sesame in good balance. Savory dried sardine with Miso taste together with Miso taste fish powder and dried young sardine. refreshing perilla-Hijiki seaweed taste with Young Japanese radish leaf, Hijiki seaweed and Ume perilla. savory 10 different kinds of coarse cereal, Wakame seaweed and Japanese radish leaf are belended in well balance. Please enjjoy sticky rice style.